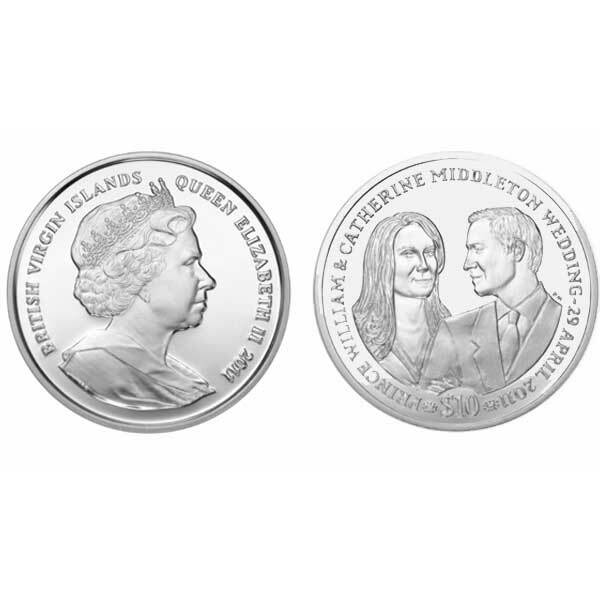 The British Virgin Islands 2011 Royal Wedding Coin, also in Proof Silver, has been specifically issued to celebrate the Royal Wedding of His Royal Highness Prince William and Catherine Middleton. 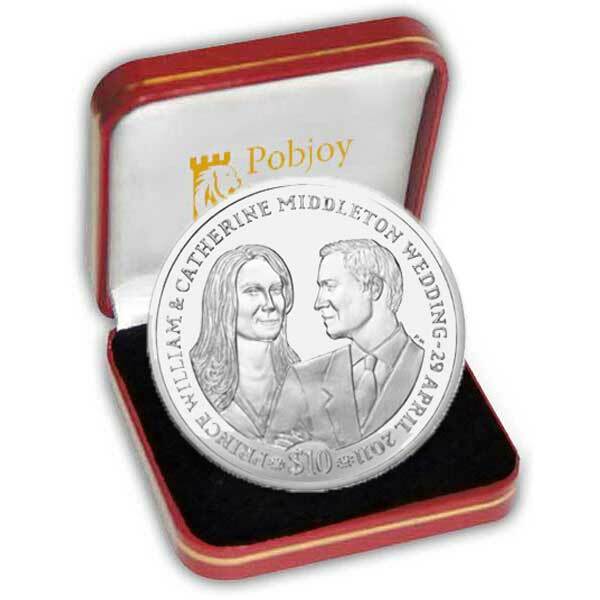 This highly collectable coin features a finely sculpted portrait of the couple based on a press conference at St James’ Palace in London, the day they officially announced their engagement. The obverse of the coin features an effigy of Her Majesty Queen Elizabeth II by Ian Rank-Broadley FRBS. The British Virgin Islands 2011 Royal Wedding Coin will make a great addition to any coin collection and is available in Proof Sterling Silver and Uncirculated Cupro Nickel.